The Church’s missionary work to serve the needs of seafarers has received a much-needed boost with the commissioning of a new national body. Australia’s bishops yesterday welcomed the seven-member Apostleship of the Sea (AoS) national committee at its inaugural meeting and commissioning ceremony in Sydney. 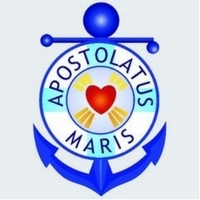 Coming under the auspices of the Bishops Commission for Pastoral Life, the national committee will support the agency in its role to provide pastoral care and welfare for seafarers arriving at designated ports, aided by a network of Stella Maris centre managers, port chaplains and volunteers. “We’re very pleased that this milestone has been reached because the new group has been established by the bishops to provide advice, expertise and guidance,” said Bishop Bosco Puthur, Bishop Promoter for the AoS in Australia. Bishop Puthur acknowledged that the maritime industry is changing and there are many challenges and demands that affect seafarers in their life, work and families. “It’s very important that we have a group like this, so that we can plan to meet the future needs of seafarers, nationally,” he said. With about 1 million seafarers on the world’s oceans at any time and 90 per cent of Australia’s trade reliant on shipping, Australia’s ports are key points to offer ministry and pastoral care. The AoS cares for the spiritual, social and material welfare of all seafarers, whether they be on merchant, passenger, war or fishing vessels. While the Church has been interested in seafarers since Jesus first gathered his fishermen-disciples around him, the modern movement began in the 1890s. Stella Maris centres are an important feature of the agency, which operates globally under the auspices of the Vatican’s Dicastery for the Promotion of Integral Human Development. The newly appointed members of the national committee are Jenny Abood, Julie Armstrong, Peter Cahill, Ray Collins, Maureen Grealy, Joseph McNamara, and Deacon Patrick Moore.